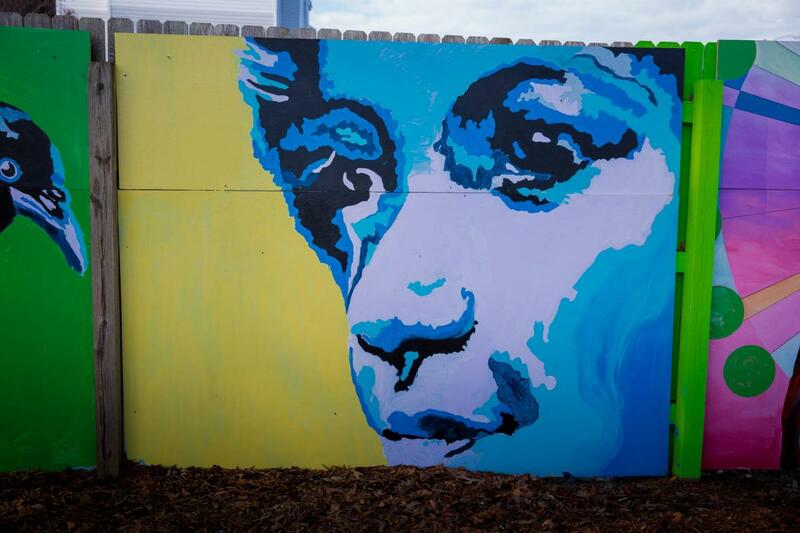 From street murals to world-class exhibits and even opportunities to create a masterpiece of your own, art is all around us in Virginia Beach. Here, we’ve rounded up our favorite ways to dive into our local palette and see everything that the local art scene has to offer. Discover the many hidden gems of the ViBe Creative District, where the creativity shines through an enclave of art galleries, museums, shops and restaurants that showcase some of our most talented artisans and craftsmen. 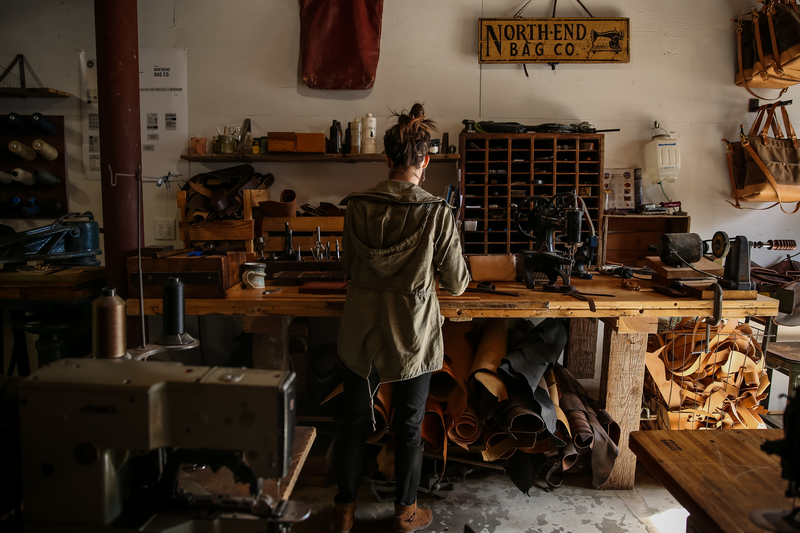 After Igor’s, drop into North End Bag Company next door, where a husband-and-wife duo is crafting handmade leather bags from scratch, using a variety of multi-era vintage sewing machines. From when the design is sketched to when the sewing machine whirs to a stop, no detail is overlooked in building these timeless bags made with the traveler in mind. Enjoy the beauty of the modern masterpieces at the Virginia Museum of Contemporary Art (MOCA). 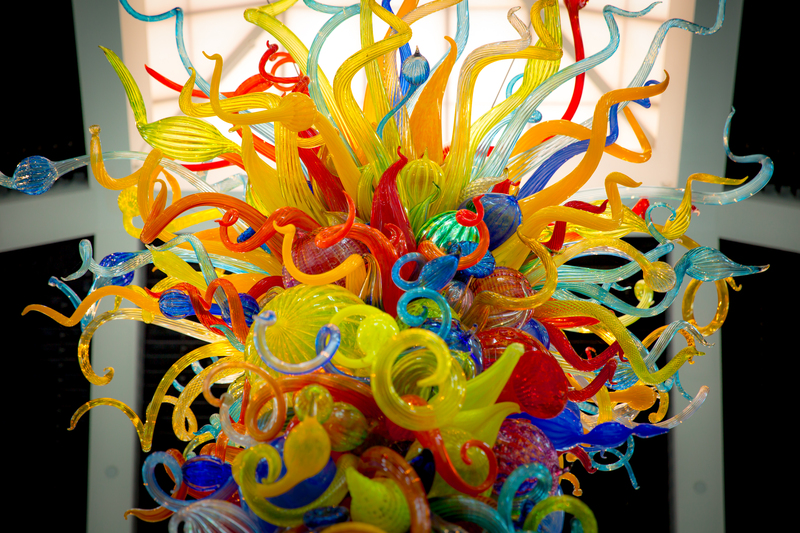 With regularly changing exhibits, there is always something new to see at MOCA, but don’t miss some of their mainstays, like Mille Colori (1,000 Colors), a breathtaking 14-foot glass chandelier by renowned glass artist Dale Chihuly, made up of 520 separate blown-glass pieces. Unleash your artistic abilities and paint your own mermaid at The Mermaid Factory, or put brush to canvas (with a glass of wine or two) at Muse Paintbar. Take your morning walks to a new level and peruse the diverse array of public art located all around the Resort Beach. 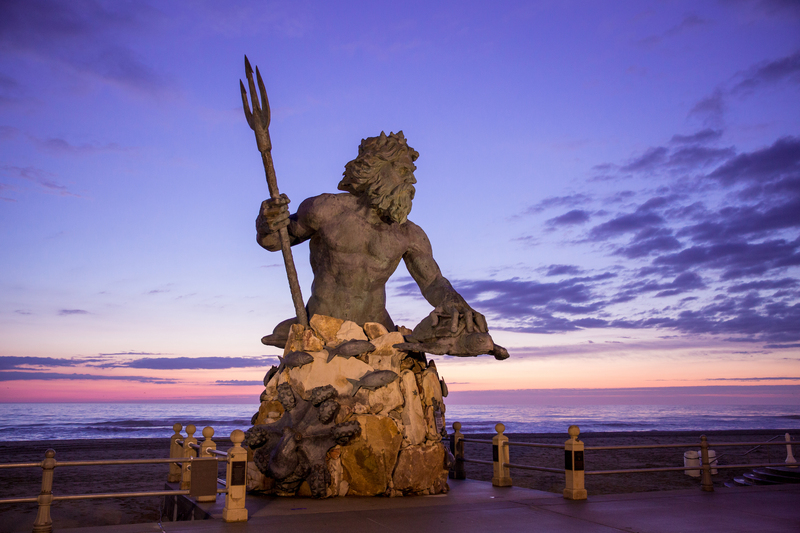 From gigantic murals to polished bronze sculptures, like one of King Neptune himself, our oceanfront is an art gallery, with no admission fee, waiting to be explored. You just have to know where to look! To describe it in broad strokes, our art scene in Virginia Beach is as diverse and eclectic as it is abundant. With a keen eye, you can find art around every corner, as the artists and craftsmen who call this area home continue to grow.